I apologize to everyone concerned for this blog post which is coming about a month late; however, hopefully it is still relevant. On July 21, I posted about the most recent lawsuit in the continuing feud between Abubakar Rabo Abdulkarim, director general of the Kano State Censorship Board, and the Kaduna Filmmaker’s Association. 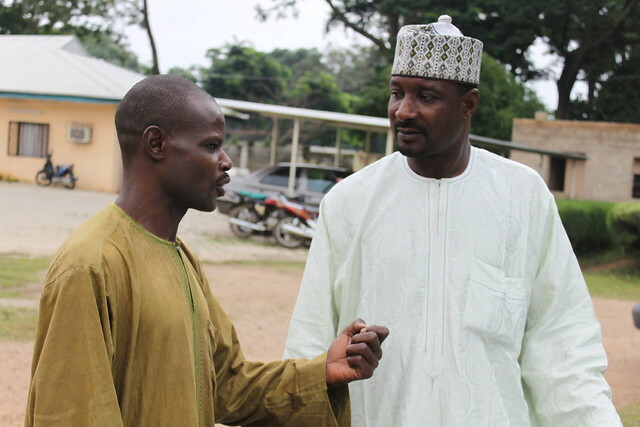 Twelve filmmakers, under the auspices of the Kaduna Filmmaker’s association, sued 1. Commissioner of Police, Kano State; 2. Attorney General and Commissioner of Justice, Kano State, 3. Chief Magistrate Court 25 Kano, Kano State; 4. 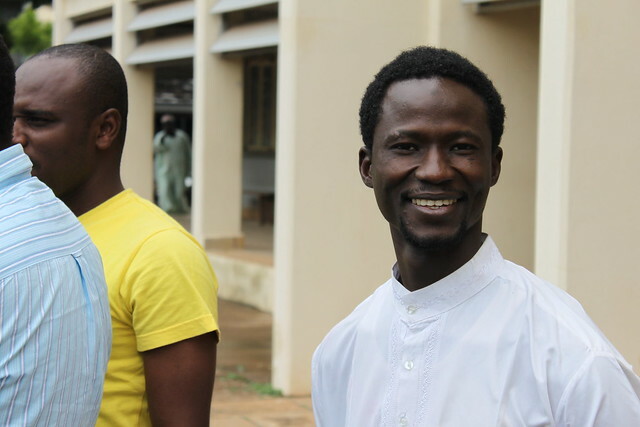 Abubakar Rabo for violations of human rights in the arrest of Fim Magazine editor Aliyu Gora II and the ordered arrest of eleven film practitioners for supposedly sending death threats by text message. 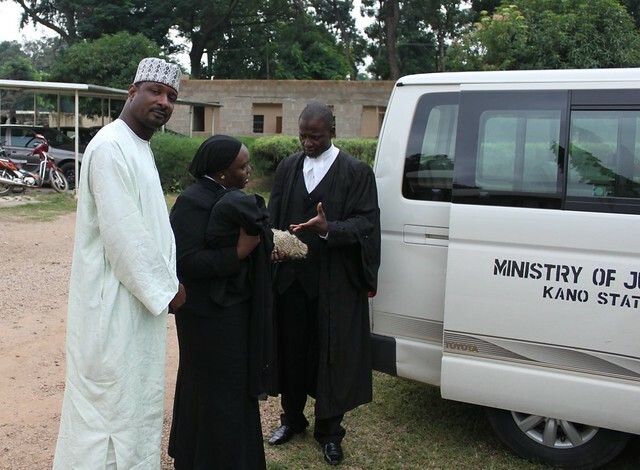 According to the August Issue of Fim Magazine, the judge ruled that the commissioner of justice, the court, and Rabo were without fault, but he did fine the Kano State Police, N100,000 for violating the 35th section of the 1999 Nigerian constitution, which states that the “personal liberties” of a person may not be violated. In this case, the police detained Gora for five days, more time than was reasonable. The applicants plan to take the case to the Kaduna Court of Appeal to protest the judge’s decision not to charge the three other respondents with wrongdoing. In addition to details of the trial, Fim Magazine (which is on sale in most video shops and other super markets in the North) contains a detailed description of its editor’s arrest in Kaduna, travel to Kano, and five day detention in Goron Dutse Prison, where filmmakers Adam Zango, Hamisu Lamido Iyan-Tama, and Rabilu Musa (dan Ibro) and Lawal Kaura have also been imprisoned for months at a time beginning in 2007. [See this link for a background to these arrests written in January 2009.] Apparently, Gora was kept in detention, and transported to Kano even after the police had checked his phone and had found no record of the numbers from which the threats had come. On July 22 following the July 20th court case, I was still in Kaduna, so I also attended the latest session in the lawsuit Filmmaker Hamisu Lamido Iyan Tama is filing against Abubakar Rabo Abdulkarim. 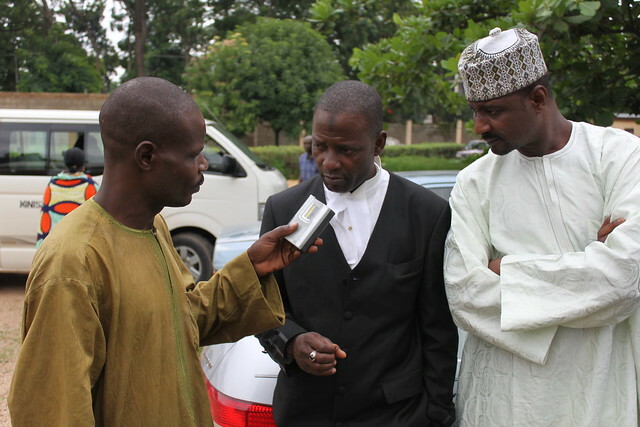 Readers may remember that during a television broadcast on 24 May 2010, Rabo accused Iyan Tama of having operated his company for fifteen years “without registration.” However, when speaking to Iyan Tama’s lawyer, Barrister Sani Muhammad, he pointed out that Iyan Tama had been duly registered with the Corporate Affairs Commission since 1997, as well as having registered with the Kano censor’s board, and other entities and had been paying his taxes. A brief foray into the “Free Iyan Tama” blog, which was created during Iyan Tama’s first arrests, shows multiple certificates of registration with the National Film and Video Censor’s Board, the Corporate Affairs Commission, the Kano State Censorship Board, and the Kano State Ministry of Commerce, Industry, and Cooperatives. Barrister Sani Muhammad also pointed out that Rabo’s on air accusation had affected Iyan Tama’s “clientele outreach, because people before now see him as a responsible person who knows what is expected of him. But soon after this interview, he started losing some of his clientele, business-wise, so he has suffered some damages.” Iyan Tama, who had moved away from Kano so as to avoid problems with the censorship board, had initially not intended to take the case to court; instead his lawyer delivered a letter to Rabo requesting a letter of retraction, asking him to withdraw his statement within ten days. Rabo did not comply with the request within the specified time. He pointed out that suing him in his private capacity places the plaintiff and the defendant on a more level playing ground, where Rabo does not have access to relatively unlimited government resources. Iyan Tama, who moved out of Kano following his release from prison hoping not to have any more run-ins with the censorshop board, was unpleasantly surprised when the director general came to Kaduna to repeat the same faulty accusations against him. Iyan Tama is now currently engaged in three different court cases: 1) the initial case brought against him by the censor’s board, which is currently under review; 2) a case in the Kaduna State Court of Appeal, where Iyan Tama is protesting the ongoing review of the case, as he had already served the sentence of three months in prison; and 3) this lawsuit against Rabo for defamation of character.